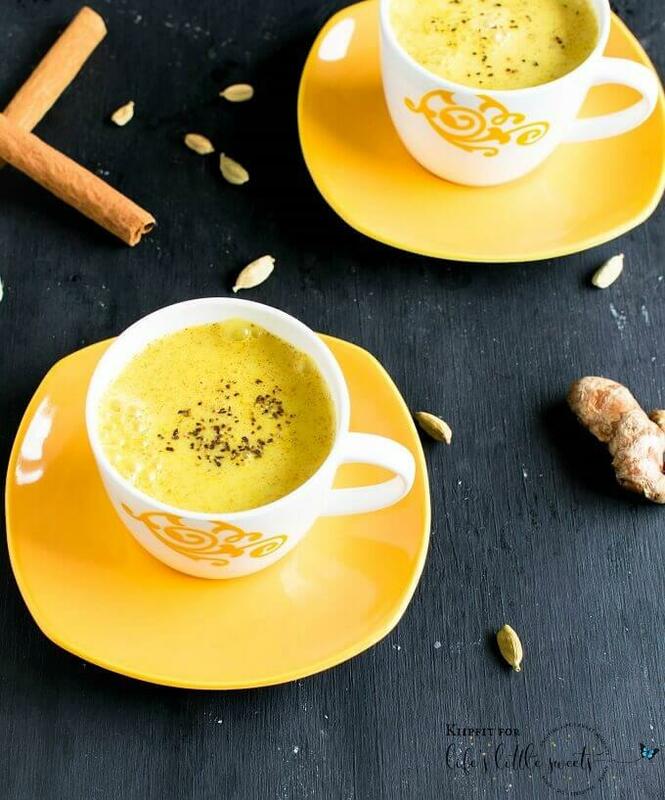 Ginger Golden Milk is loaded with anti – inflammatory properties and healing agents. Its vegan, paleo friendly and glute free too. In a saucepan combine coconut milk and sugar on a medium flame. Stir it so that the sugar dissolves nicely. Then add ginger and turmeric. Stir continuously until golden color starts showing. Now add rest of the ingredients and stir again. Let it cook at a low flame for 2-3 minutes. (Do not boil). In the serving cups strain the warm golden milk and serve immediately. Use mortar and pestle to crush ginger and turmeric. Make sure to crush ginger and turmeric separately. Try to use fresh root turmeric instead of turmeric powder. The taste with root turmeric is definitely better. Make sure to strain golden milk before consuming.